You vow violence against the character you love because of the injustice or their sheer stupidity. You cry again for all that they miss. But while you're crying sad, pathetic tears for someone who by all accounts isn't "real" you are smiling in hope for their future. Then you keep reading and wish a gruesome fictional demise for the author who so carelessly ripped your heart out, cut it with a chainsaw into messy chunks, and then ran over it with a tank tread. 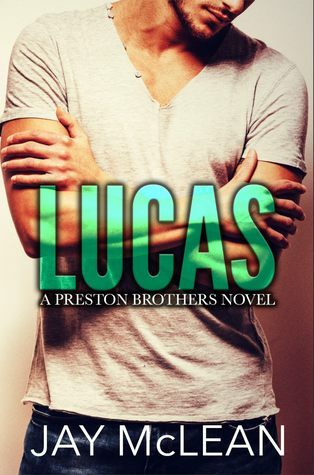 Lucas Preston is the dream. Every girl has it whether it's viable, valid, or just a dream. We all want to fall. The best friend is super romantic. Realizing he loves her- swoon! Not every dream comes true though. Sometimes you get more than the dream and sometimes it's a nightmare instead. Ugh, I loved every horrible thing that this book did to my emotions. I will deal with the red eyes, the crying headache, the puffy face. I will cherish the highs too because this book is magic. I can't wait for more of the Prestons. I knew I was going to love this book, but I could never have imagined just how much. If I could, I would give it 10 stars. Lois is 11 when she meets Luke and from the first time they meet they become best friends. The book follows them through the years as they grow into themselves. Their journey together is true to life, the obstacles they face have been felt by every teenage boy and girl. Lucas is a bit of an idiot and I was screaming at him a lot, but like I said, he's a stupid teenage boy full of hormones. He has no idea how to deal with them. Lois made my emotions seesaw, I loved her for most of the book, but at a certain point I wanted to give her a good slap after screaming, "What are you doing?" Through it all, the love this family has for each other shines brightly. It's emotional, it's heartbreaking, but it was so damn good. Oh people! If you haven't read a Jay McLean book yet then now is the time with THIS BOOK. I swear Jay McLean is the Queen of Angst! This was the fourth book of hers that I've read, and while I have raved about them all, this one has been the best by far! I loved how this story showed us the journey the two main characters, Lois "Laney" Sanders and Lucas Preston, traveled through as they came of age. It was a beautiful thing to experience, their young, innocent hearts and how they cared for each other as children. As they grew and matured, the fine line between friendship and "more" started to get fuzzy and difficult to navigate. You will have to read this book to experience the chain of events that lead them down unexpected paths and tragedies. How will they pull through all that life has thrown at them, and, will they emerge unscathed? Are they even meant to be together? It was a true joy to get to know these two families, Laney and her dad, and Lucas's family with all his very individual brothers (like seriously, there are so many yet I feel like I knew them all) and sister. These characters are so real to me. I cried when they cried. I hurt when they hurt. I laughed with them and got angry with them. I felt joy when they did and fell in love right along with them. This book made me feel so much. It was just unavoidable because it's so well written. Please read this book. You won't be sorry you did! It's a coming of age - young adult masterpiece. I couldn't put it down and barely got my kids fed --- it's THAT kind of book!